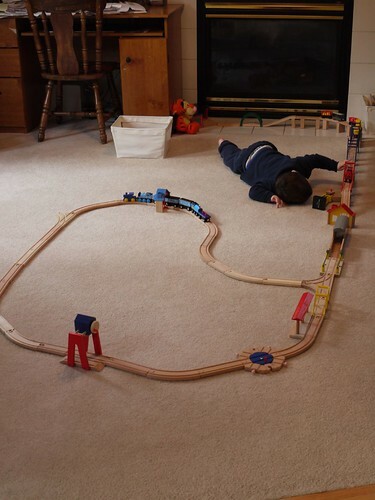 Oh that’s a familiar tableau! 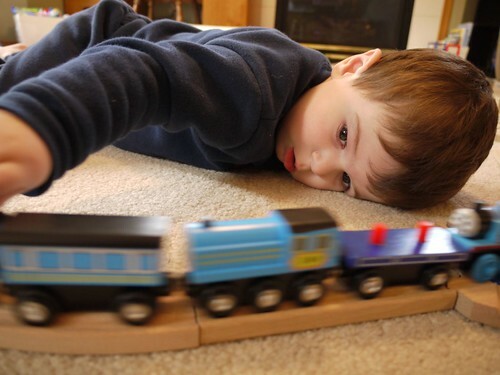 Love his intensity – reminds me of Sam. 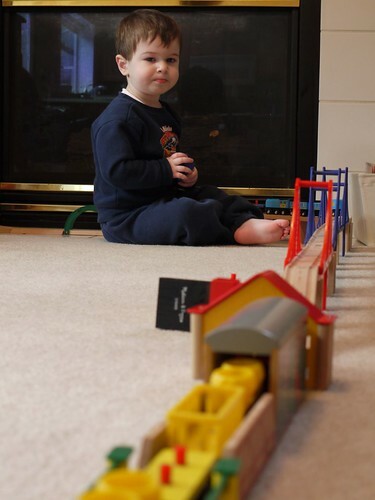 I’m kind of sad he doesn’t play with trains anymore. 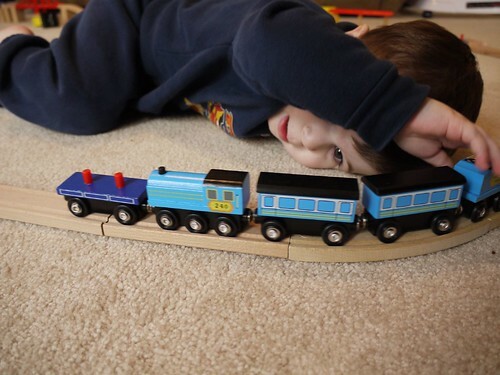 good thing Micah still adores them! 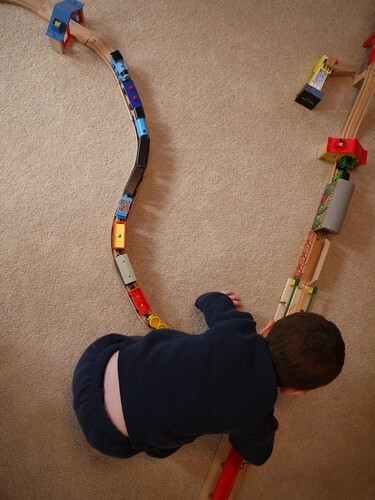 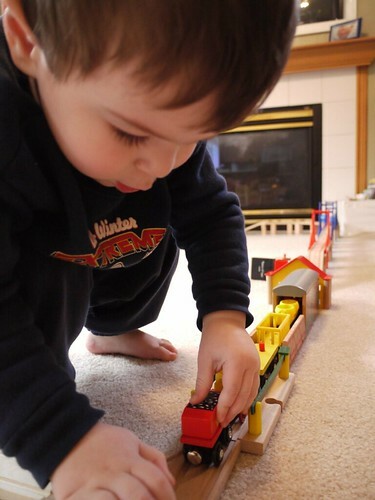 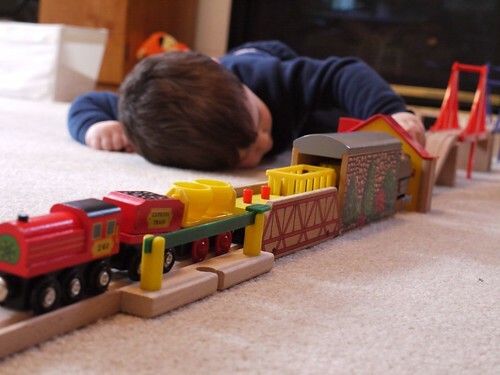 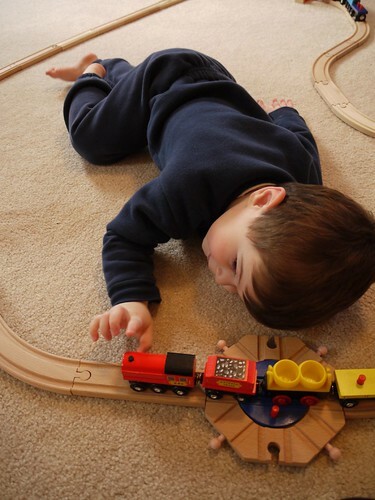 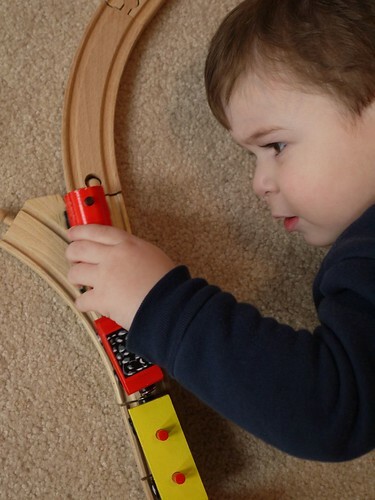 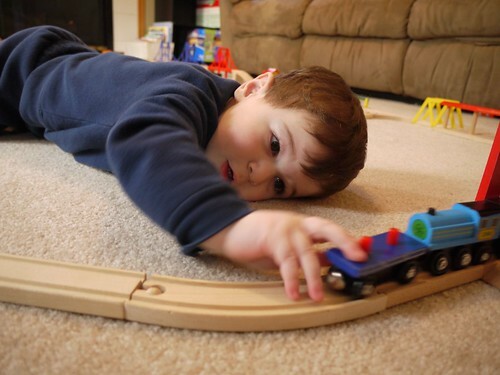 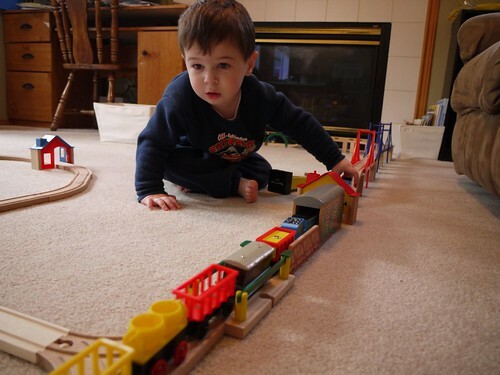 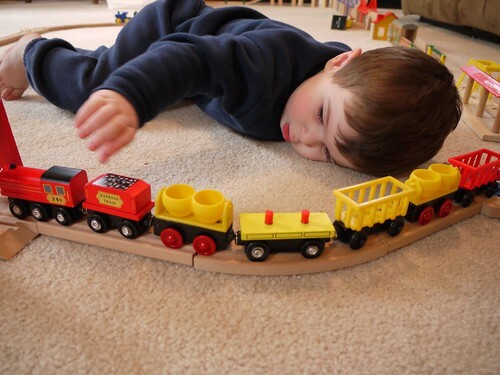 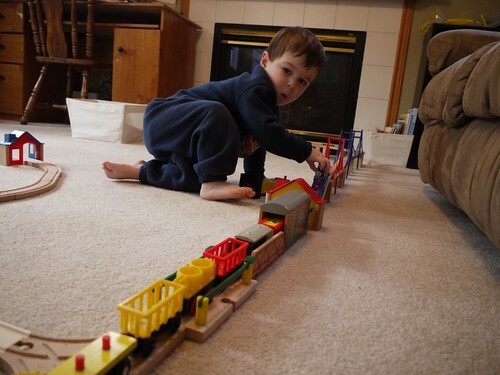 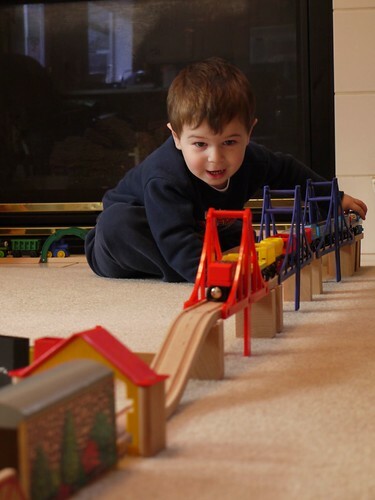 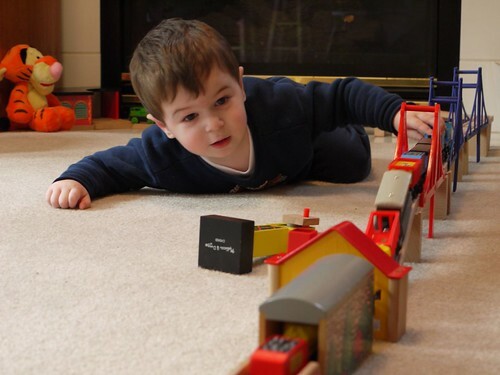 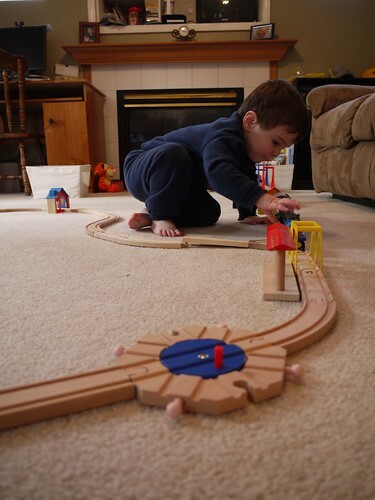 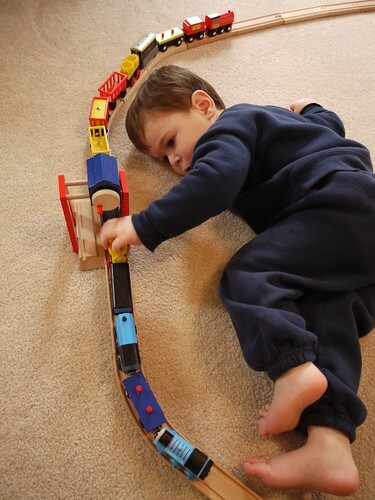 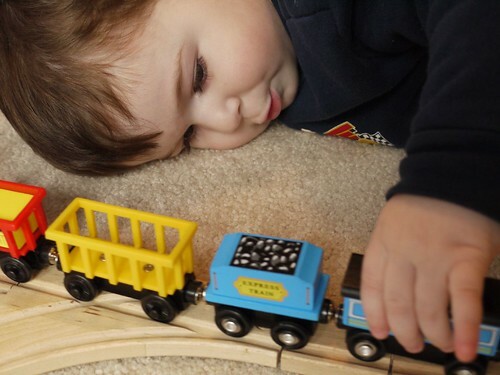 Bubbers is the ultimate train lover and that inventive brain is working every minute. 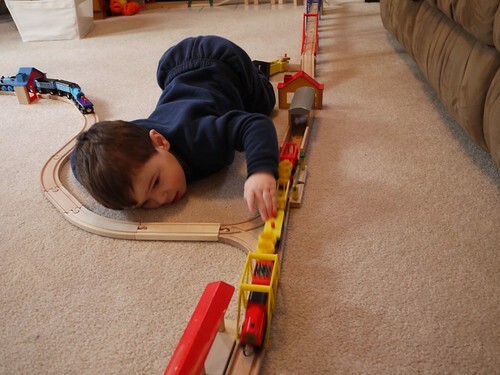 Love those trains, keep enjoying them Bubbers.